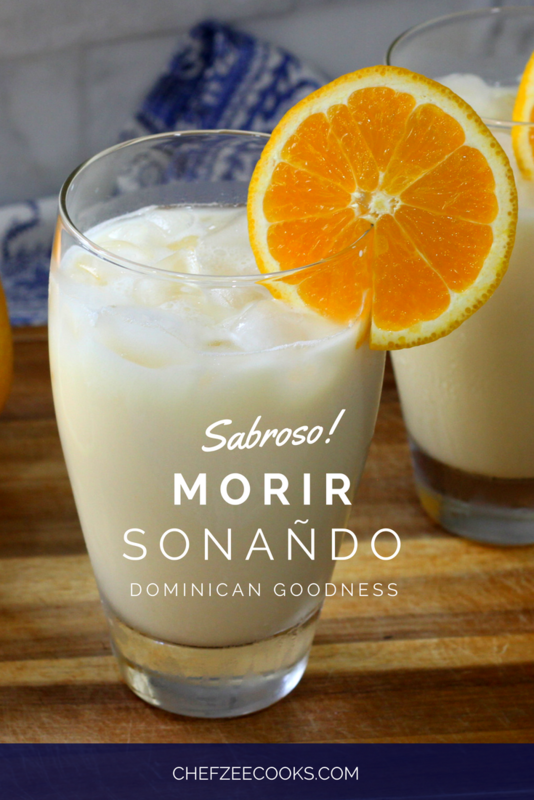 Morir Soñando, To Die Dreaming,– The name alone should tell you that this drink is heavenly! Imagine drinking a sweet orange custard gently touched by vanilla and alas, there you have Morir Soñando! Morir Soñando is a traditional Dominican drink that you usually have for breakfast or after lunch. It’s a treat that instantly takes you back to your childhood and immediately evokes memories of good times. Mention this drink to any Dominican and they immediately go crazy. Something about it pulls at the heartstrings– and with good reason. This creamy drink is a huge powerhouse alongside Mangu & Chimis. I’d be lying if I didn’t admit that I’m taking a break right after this sentence to make this velvety drink! Morir Soñando is a simple drink and it’s one with many MANY nuances. Every grandmother and tia has their own tricks and hacks. The problem with this drink is that we’re mixing milk with orange juice, which does have the tendency to curdle. You have to be extremely careful! Nonetheless, even the most seasoned Morir Soñando makers have had this happened to them. All it takes it moving too fast that you forget to stir while you pour or perhaps Mother Nature serves us with a summer day hot enough to make our ingredients temperamental. Whatever the case, don’t be shy about giving this drink a go. Morir Soñando can be tricky! But I’ve made this drink enough times throughout my childhood and now adulthood to have developed my own tried and true tricks! The key is to get everything right so that you avoid your milk from curdling. Tip #2: Sweeten both the orange juice and milk separately. To be honest, I’m not sure if this does anything but it’s a trick that my grandmother taught me so I’ve been doing it my whole life. Even if this doesn’t do much to stop the milk from curdling, I like keeping the tradition going! Tip #3: When mixing, pour the orange juice into the milk while continuously stirring! Now this I know for a fact to be true. You definitely want to stir while you add the orange juice into the milk otherwise, you’ll end up with a Morir Soñando that’s corta! (Curdled) Another trick is to add the orange juice into the milk and then swirl the drink back and forth between two cups until the sugar from both has dissolved. Tip #4: Drink it as soon as it’s ready. This isn’t a drink that you leave hanging around. It’s one that you make to order! Bonus Tip: Use an orange juice that you LOVE and a milk that you love! I personally love using evaporated milk to make my Morir Soñando along with Dominican Vanilla. It tastes like home and brings me back to Saturday afternoons with grandmother. 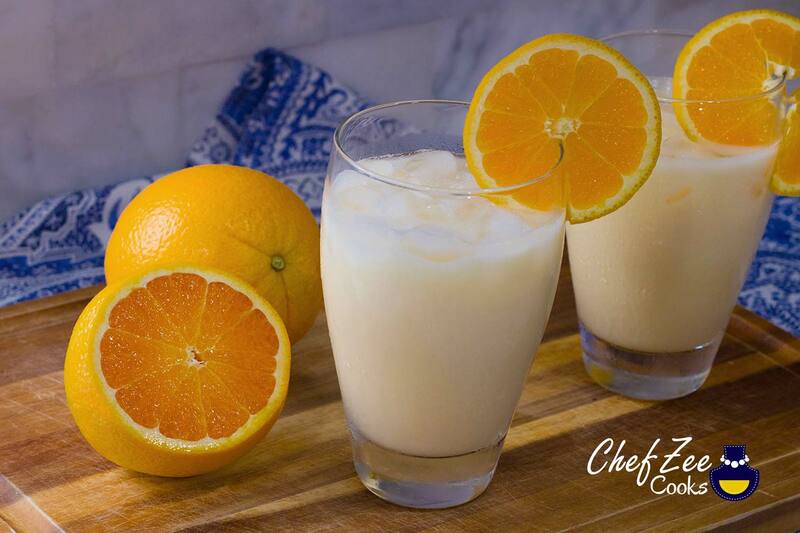 All in all, Morir Soñando is all about mixing an acid (orange juice) with a base (milk). The two are like oil & vinegar and don’t want to play nice at first. However, if you have patience and you follow the steps, you’ll never know that these friends were once foes! If you’d like to see a step-by-step tutorial How to Make Morir Soñando feel free to visit my YouTube Channel: Chef Zee Cooks! Want some inspiration? Pin this to your boards!